Malcolm is the oldest name in scope manufacturing, established in 1855. Leatherwood / Hi-Lux Optics has stepped back in the time to once again produce this historic line of telescopic rifle sights, bringing to today’s shooter authentic styling with the added benefits of modern scope production, including far brighter fully multi-coated lenses and sealed tube construction. 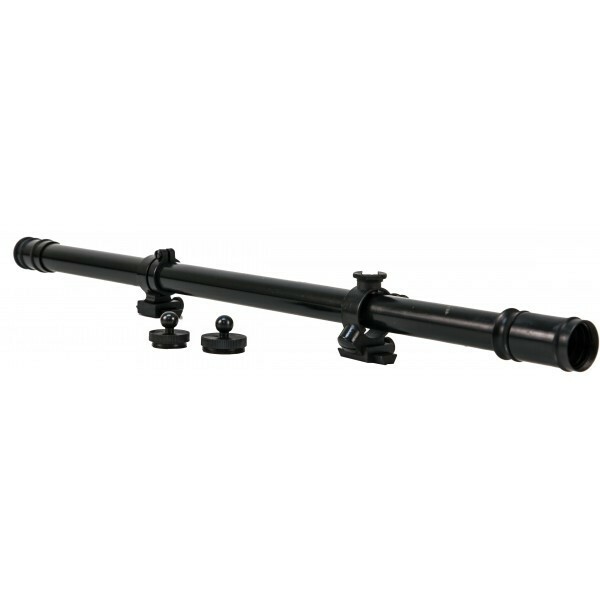 The finest quality reproduction vintage style riflescopes available today! Three basic models cover scoping needs, from late percussion muzzleloaders through the black powder cartridge rifle era and for the early “smokeless cartridge” rifle models. Both the long 1860s-1870s style “Wm. Malcolm” scope and the shorter late 1880s-1890s style models come with appropriate and authentically styled mounts of those periods. True to the originals, the long-tube model features a graduated “rabbit-eared” rear mount. It is adjustable for the windage and elevation. A Short 6x 18" model. The 18″ Malcolm scope is ideal for many of the single-shot and lever-action cartridge rifles produced during the late 1880s and 1890s.